Government investors have been busy this week with investments in consumer services, financials and technology, among others. Investing in infrastructure, however, can be challenging at times: Witness ADIA and CPPIB’s plans to appeal a gas-tariff ruling in Norway; meanwhile, Malaysia’s Khazanah Nasional failed in its attempt to buy Spain’s operator Globalvia. A flurry of investment activity from Asian sovereign funds has made headlines over the past five days, with the funds plowing capital into all their favorite sectors, including real estate and consumer goods and services. Singapore’s Temasek Holdings announced another deal with Oxford Properties, the real estate investment arm of the Ontario Municipal Employees Retirement System. The two investors are purchasing the Blue Fin building on London's South Bank from the U.K. division of American magazine publisher Time Inc. for £415 million ($580 million). 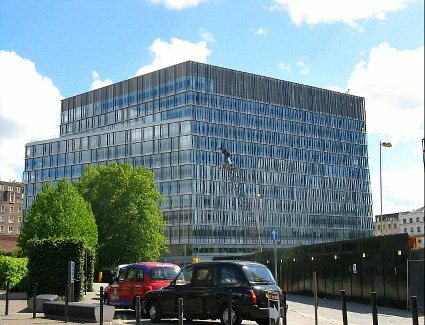 Temasek and Oxford already share ownership of another office property in the capital, MidCity Place, which they bought for more than £350 million in September 2014. The Singaporean holding company also announced its decision to back the new £3.3 billion ($5.1 billion) rights issue of London-based emerging markets bank Standard Chartered. Temasek, which is the bank’s largest shareholder, is planning to exercise its rights to prevent dilution of its 15.8 percent stake. The loss-making bank is shoring up its capital after it recorded a 12 percent drop in revenue, to $3.7 billion over the last year. The other Singaporean sovereign fund, GIC, announced a HK$659 million ($85 million) investment this week in Chinese surgical cosmetics producer Bloomage BioTechnology Corp. GIC is committing HK$465 million in convertible bonds and taking up HK$194 million new shares at a subscription price of HK$12 per share Bloomage anticipates robust growth potential in the years ahead as it exploits the two secular trends in China: an aging population and a growing middle class. China Investment Corp. (CIC) continues to help Chinese companies in the so-called "Go Out" policy set by the government to encourage Chinese companies to invest and expand abroad. CIC has reportedly signed an equity check of $150 million for a stake in the food and beverage manufacturer Dali Foods. CIC’s special-purpose vehicle, JIC Dessert Laboratory, is the largest cornerstone investor in the initial public offering of the Hui’an, China-based snack producer, which aims to raise up to $1.34 billion to fuel its growth at home and overseas. Malaysia’s Khazanah Nasional failed at its first attempt in infrastructure investing in Europe as Dutch manager PGGM, Canadian pension fund OPTrust, and London-based Universities Superannuation Scheme Investment Management (USS) completed the acquisition of Spanish infrastructure firm Globalvia, a 50-50 joint venture between Barcelona-based infrastructure manager FCC and Valencia-based financial services group Bankia. Khazanah saw its €420 million ($466 million) offer to purchase a stake in Globalvia rejected in July by the company’s creditors. PGGM, OPTrust and USS preferred to exercise the option to match Khazanah’s offer to retain ownership of the Spanish company. Other institutional investors are struggling with some European governments in the management of their infrastructure assets. The Abu Dhabi Investment Authority, Munich-based alternative investment manager Allianz Capital Partners and the Canada Pension Plan Investment Board have decided to appeal a court ruling that upheld the Norwegian government's decision to slash tariffs on a gas pipeline in which they invested in 2012. The group had sued the Norwegian government over its 2013 decision to reduce tariffs by up to 90 percent for transporting natural gas on the Gassled network that connects North Sea oil and gas fields to terminals across Europe.